//Use RawUrl, otherwise it will always use the root web. 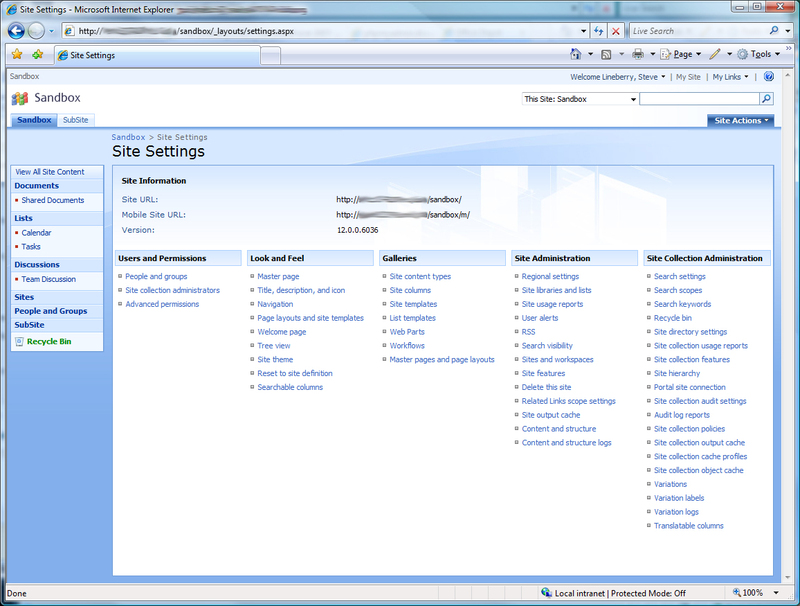 Be sure to register the HttpModule in the web.config of your sharepoint site. All of the code and changes ended up with a site settings page that looks like this.